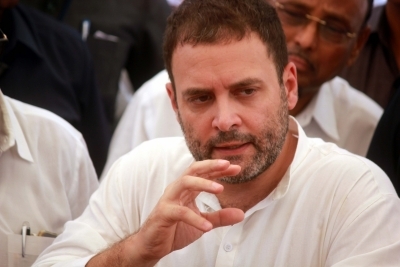 New Delhi, July 17 (IANS) Congress Vice President Rahul Gandhi will hold a ‘Kisan Aakrosh’ rally in Rajasthan’s Banswara district on Wednesday as a part of his visits to all poll-bound BJP-ruled states. The rally will take place at Guru Govind Singh College Ground in Banswara, the Congress said on Monday. He will raise issues pertaining to farmers’ distress and farm loan waivers at the rally. After Rajasthan, Gandhi is scheduled to hold rallies in other Bharatiya Janata Party-ruled states like Gujarat, Madhya Pradesh and Chhattisgarh, said the statement.